(Colorado Springs, CO) – Magazine Training International (MTI) announces a new “Introduction to Magazine Publishing” course, and a corresponding manual published especially for a conference in 2019 in Abidjan, Côte d’Ivoire. The seven-day course is designed primarily for those who have little or no experience in professional magazine publishing. It will present an overview of the entire magazine publishing process, giving students a thumbnail view of everything they need to know to successfully publish a Christian periodical. For this reason, an international team of six publishing professionals will include experts in magazine editing, management, and design. Publishers, editors, and designers of existing magazines, as well as those who are considering starting a magazine, will want to attend. At least a full day will be devoted to exploring the process of starting a new magazine. Staff of small magazines, where one or two people are responsible to handle jobs in multiple disciplines, will specifically benefit from the course. It will also benefit those whose experience is limited to one area, but who desire to see how the whole publishing process works together. The 100-page manual will outline the course and provide additional resource materials. It will be made available in French for the French-language course, but eventually will be offered in other languages. Other courses offered by MTI during the last 30 years include intensive, four-to-seven-day, college-level courses on magazine design, writing, editing, management, and advanced business of magazine publishing. The French-language course will be held in Abidjan on 8 – 14 September, 2019, and is organized for magazine publishing staff in Francophone Africa. It is the second conference in the 10-year training program for Africa, which launched in Kenya in 2018. 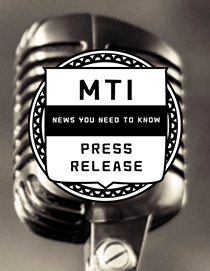 In 2021, MTI will build on the 2018 Kenya training program in Nigeria for English-speaking magazine staff. The program may continue in Francophone Africa in 2022, if the staff of the French-language magazines believe they will to benefit from further coursework. If not, individual consulting help to publishers and editors of French-language magazines may be offered instead.